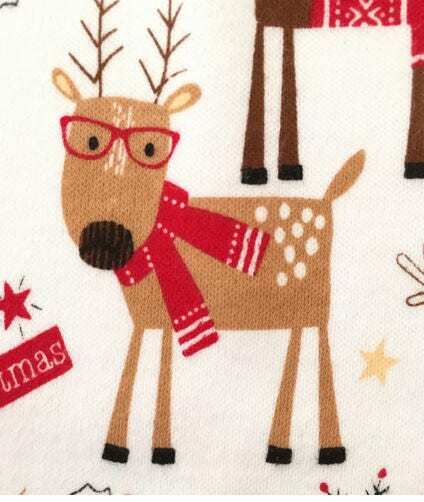 ADORABLE Reindeer Christmas Pajamas! 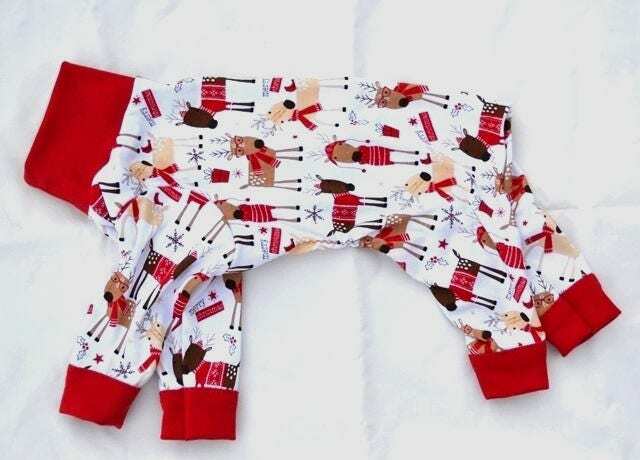 Your little one will love waiting for Santa in these jammies. 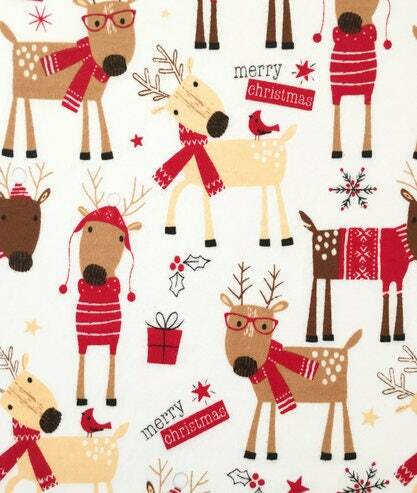 A light-weight cotton knit fabric for a comfortable fit with images of Christmas reindeer in sweaters and scarves. 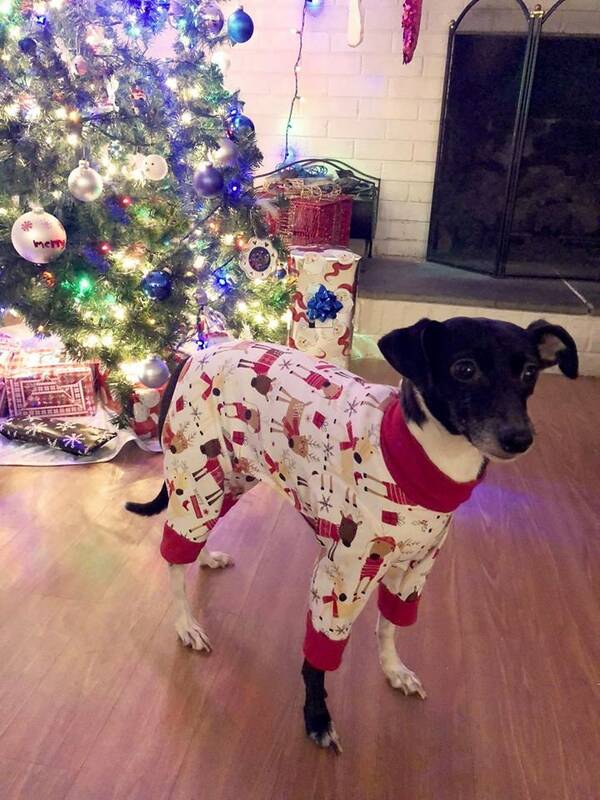 The belly is open, so no need to remove the pajama for potty time (male or female). No Velcro or fasteners. 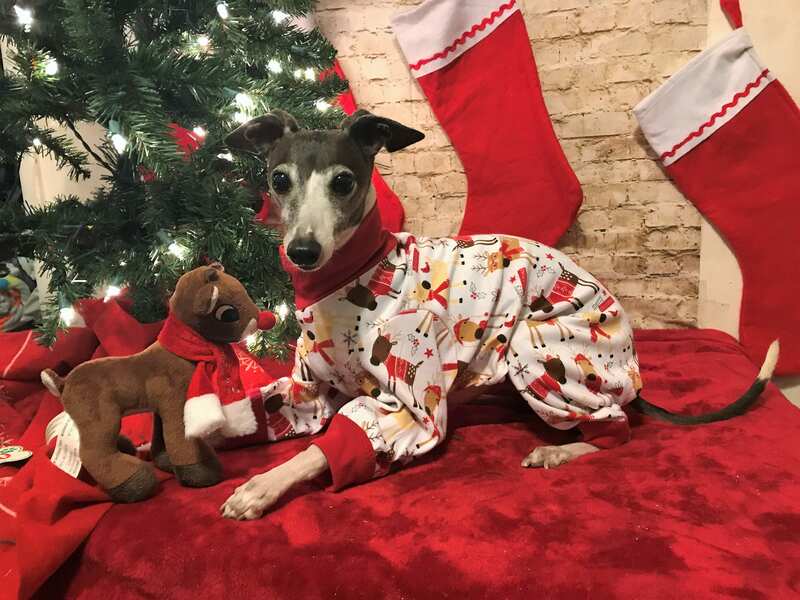 Sized to fit Italian Greyhounds and small dogs. 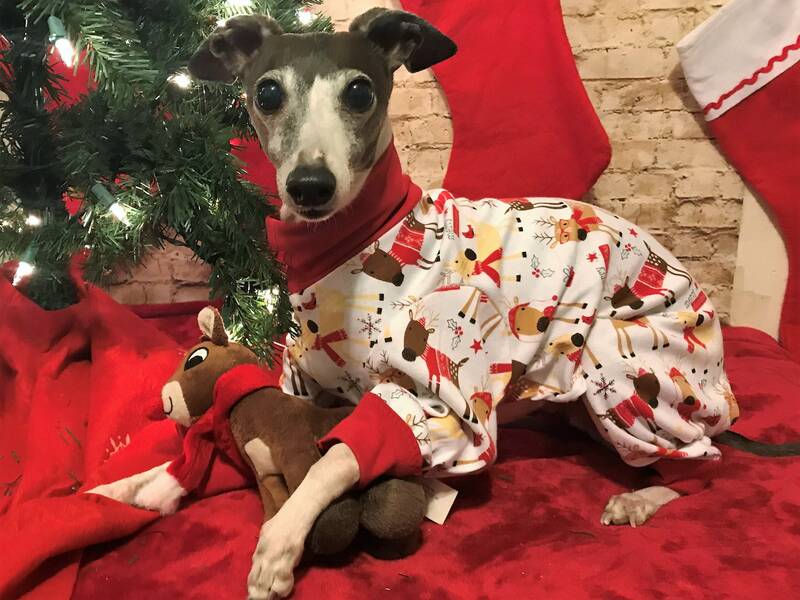 A unique jammie you won't find in stores. 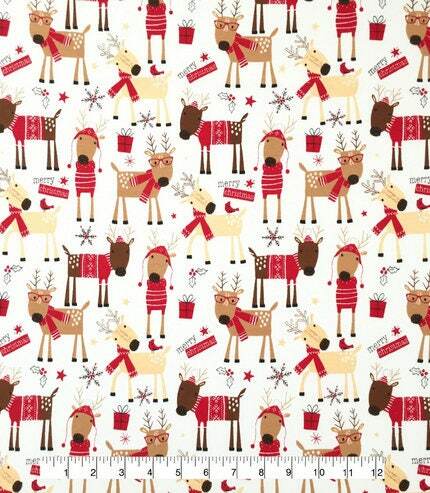 I only have a very limited number of these due to fabric being unavailable. 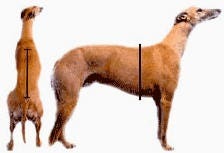 Easy to put on: Simply put head through the neck opening, insert front legs, and then back legs. The belly is open and there is no need to remove for potty breaks for male or female.